Successfully saved Easy Lemon Pie with White Chocolate Curls to your Calendar. You can also save the ingredients to your Grocery List. 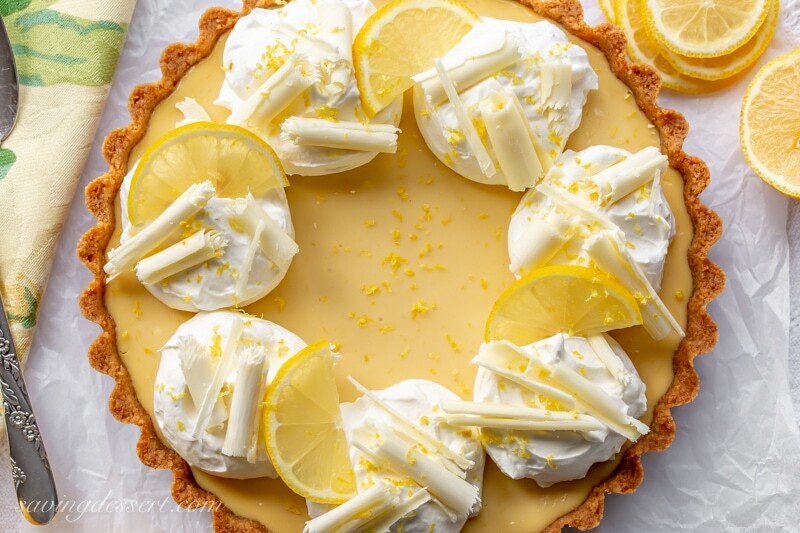 With a velvety smooth consistency and a tangy-tart bite from the fresh lemon juice, this easy pie can be baked in your favorite tart pastry or graham cracker pie crust.